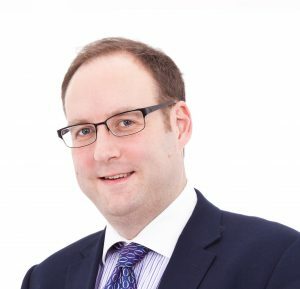 Hong Kong | Sam Beatson, Ph.D.
Hi, I’m Sam, the Managing Director of Statisi Ltd (est. 2015) and Quantisi Ltd (est. 2017) in the UK, delivering economic, financial and social research and consultancy solutions. For the public sector, I’ve helped a number of UK Government departments and arm’s length bodies with solutions to national policy challenges. This has often required providing major programme advice, research and publication contributions, using quantitative and qualitative policy research, implementation, evaluation and quality assurance methods. You can read what senior leadership stakeholders I’ve worked with to develop and manage these projects have felt about my work with them below. Projects have included a high profile programme evaluation for the Department for Digital, Culture, Media and Sport in London, leading a team of analysts for the Central Government’s No Deal Data Task Force and projects for NHS England Analytical Finance in Leeds and Halifax and the Marine Management Organisation in Newcastle. I also maintain an academic profile and currently lecture in modules for MSc and MSci students of Corporate Risk, Financial Strategy in China and Research Methods for Business and Finance through the University of Nottingham Business School‘s Bought in Lecturer programme. My bought-in lectureship allows me to continue to research and teach while maintaining other subtantial portfolio commitments. I previously held a two year Fellowship at King’s College London after my Ph.D. I have studied, researched and trained in financial markets analysis for more than ten years. I have met, with interviewed and worked with many highly qualified and/or experienced traders and fund managers over the years, developed my own strategies and mentoring, and coded program and models that help investors, traders and financial institutions understand global financial markets and their movements from the fundamental and technical analysis perspectives. This means I use data-driven analysis to look at what is going on in the underlying state, central bank, commercial and political economies to drive markets – and technical perspectives – the myriad ways traders make decisions around demand, supply, speculation and price-action in markets. Quantisi enables me to connect with analysts, traders, programmers and fund managers around the world to share cutting ideas and strategies and to use robust statistical testing algorithms in order to help us with capital preservation and achieving a return on our investment portfolios. Sometimes data mining algorithms and the tools of machine learning are employed to model outcomes in these markets. Each day, the programs I have developed provide intuitive analysis, signals and ideas for a number of financial, commodity and stock index markets. Quantisi is a pre-incubation startup. See here for a list of government and academic publications. See here for a list of media pieces, opinion pieces and comments. I received my Ph.D. from Nottingham University where I was trained under the economics & finance professors of the Research Centre for Banking, Finance and Applied Economics, within the now defunct School of Contemporary Chinese studies, which was a multi-disciplinary arm of the School of Business. A 2017 publication based on this work is here. I’ve been rather slow to publish more from my Ph.D. thesis, mainly due to demands in related areas – but more publications are in the pipeline – stay tuned! During my 4 years at Nottingham, and also, the University of Hong Kong, I collected and thematically analysed 25 interviews in the Greater China region with fund managers, consultants and academics, with a view to contributing to the generation of new theory in corporate governance – specifically in regard to how very small, but highly experienced investors can influence management within a culturally nuanced context like in China. I actively engaged with Nottingham’s brilliant application of this Researcher Development Framework and in particular its enterprise lens, and was the recipient of several scholarships, awards and prizes. In 2015, I was the principal economist responsible for costing and modelling for the refresh of the Clinical Commissioning Groups (CCG) formula for NHS England, alongside Yau-Shing Lau and a phenomenal team (see the authorship) with Mr Chaplin at the helm, answerable to the Head of Analytical Finance, Advisory Committee on Resource Allocation (ACRA) and the Technical Advisory Group (TAG). The team involved was responsible for advising on the fair and equitable distribution of circa. £70 billion in taxpayer funding to English NHS commissioners. They consisted of exceptionally talented individuals with skills in data management and processing, visualization, econometrics and statistics. Deloitte Economic Consulting were also brought into the project and it was great to work alongside their team and director in the unassuming former cotton-town setting of Elland, West Yorkshire. For the Marine Management Organisation (MMO), I was brought in to conduct peer review, QA and mentoring and oversight of analysts working on the business impacts of South Offshore Marine plans during 2015 in another project. The analysts had done a terrific job and effectively needed some steer and quality assurance as well as independent oversight of their submission to HM Treasury. In 2018 I returned to the MMO in Newcastle to assist with a business case related to Fisheries businesses. Again, what a wonderful and resourceful team to work with and extremely knowledgable in their field of work. By way of good fortune and good management around me, I was able to continue my teaching, research and supervision responsibilities at King’s College London during these times, including the organisation of weekly research seminars, and finding authors for this Policy Paper Series. The seminars included included visiting speakers such as Professor Peter Williamson (Cambridge), Will Hutton (Oxford & The Observer), William Callaghan (LSE), my good friend and soon-to-be co-author of profound intellect, Dr Mikhail Karpov, from the Higher School of Economics of Moscow’s National Research University, consultant Peter Humphrey, who had recently been released from prison in China, and many others. Though not remitted to do so, I was able to publish a piece of Asia policy work led by the former diplomat, Kerry Brown, head of the Lau, considered by many to be the most knowledgable expert on China in the country, and an outstanding professional researcher. Kerry then outlined some themes for a book chapter, then kindly offered to allow me to work on and publish “Era of Re-alignments” on my own in diplomat Michael Reilly’s 2018 book with David Huang of National Chengchi University of Taiwan, a huge piece of work that Michael published as the climactic output of his Taiwan Fellowship, from my understanding. 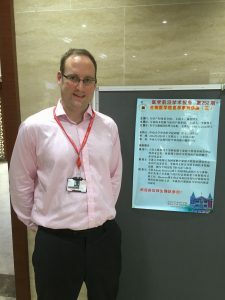 Sam Beatson in Canton (Guangzhou), presenting on data and ethics. Interestingly, Michael Reilly had been the manager of Matthew Gould, former ambassador to Israel, who I went on to work for in the No Deal Data Task Force in late 2018. Kerry had also been one of Michael’s staff. My very good friend, secondary school teacher in London Mr John Hales, who had helped Anthony Selden with research for his biographies of Tony Blair during Dr Selden’s headmastership at Brighton College, had also worked for Kerry in the Foreign and Commonwealth Office. A small world, indeed! I presented my papers and research notes at the University of Hong Kong, the University of Gothenburg, London Metropolitan University and the University of Nottingham. with some proclamation, I even once presented on big data management and ethics in data science at Sun Yat Sen Medical School, Guangzhou (see right). During these periods, I was selected as a Thought Leader and invited to Windsor Castle as a subject matter expert in the Digital Health, Living, Security and Ethics thought leadership conference series organized by the Corsham Institute in collaboration with RAND Europe and the Smart Societies Institute. I visited the House of Lords for the launch of the resultant paper and in mid-2017, and was a discussant critiquing John Hemming’s parliamentary paper for the Henry-Jackson Society in the House of Commons with Catherine West MP chairing and Lord Harris of Haringey in attendance. I was made a founding Leadership Fellow of St George’s House, Windsor Castle in 2017 and was quoted in the Telegraph newspaper, interviewed in the Diplomat and have been a lead commentator in the China Daily Asia (Hong Kong) edition. Here is a detailed list of media quotes / comments / opinion pieces. There is an absolute abundance of talented members and contributors within the UK Civil Service and working on the Superfast Broadband Programme Evaluation and leading in the No Deal data task Force policy team as analytics and workbook team leader, were great privileges. I’d like to complete this page by sharing with you what colleagues have said about me in recent UK Government contracts and executive coaching projects. All quotes are on file and verifiable from source. “Sam’s strengths include clear analytical sense and a good grasp of policy needs, likely key issues and the ‘bigger picture’. Sam’s ability to quickly secure a consistent mechanism to capture key messages from a wide range of external leads – through structured interviews and by email – and lead subsequent analyses, made it very straightforward for the taskforce to assess, collate and summarise issues for Ministers and senior decision makers and prioritise necessary resulting actions. “It was a great pleasure working with Sam on a recent DCMS project! As well as keen analytical acumen and excellent spreadsheet skills, Sam brought his great sense of humour and philosophical skills to bear. The latter were particularly helpful given the fast pace and change involved in the project, memorably and very helpfully contributing to wider team-building. The former were helpful to keep spirits up in an otherwise stressful environment. Sam was promoted early on during the project, when subject experts left the team, and he quickly took this in his stride despite no handover. “I worked with Sam on a fast-paced project to look at data in the public sector. Sam quickly drew up a questionnaire and then delivered excellent, intuitive analysis. His attention to the need of the audience and his ability to contribute to design and thinking was exemplary. “Sam is a high performer. He has delivered high quality products, typically on time and to a high standard. He has been a stalwart on the team, stepping in to cover for the team leader role for approx. 6-8 weeks before the new team leader took up post and providing essential analytical support for BDUK and for me personally during this period. He is agile, flexible and very willing to apply knowledge to deal with a diversity of challenges. Using his high level of competence, Sam solved very challenging problems with vast data sets. I speak, read and write English, mandarin and conversational cantonese. When I am not consulting, lecturing or researching, I exercise at my local gym, love to go on long and challenging hikes in the Peak District National Park, and to take care of the four amazing women that surround me, challenge me and nurture me in life – wife May, daughters Ana and Lulu, and cat Tiger-Lily!. Last, but the opposite of least, I have enormous gratitude and unwavering awe for the generosity of heart and greatness of personality of so many friends, associates, mentors, great managers and teachers who have believed in me with absolute faith and I mention a very few by name – those not named are certainly remembered: Diana Beatson, Ian Archer, Jason George, Steve Peters, Sarah Dauncey, Jian Chen, Shujie Yao, Zhigang Tao, Tim Crawshaw, Terence Connolly, Michael Chaplin, Sue Dookun and countless authors. I am available for business, economic and policy consulting, including data-driven projects, and keynote speaking in the UK around the world, when I am not in contract. You can take a look at my CV here (last updated 21/1/2019).